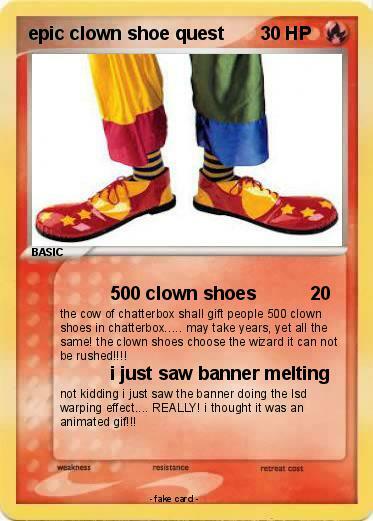 the cow of chatterbox shall gift people 500 clown shoes in chatterbox..... may take years, yet all the same! the clown shoes choose the wizard it can not be rushed!!!! not kidding i just saw the banner doing the lsd warping effect.... REALLY! i thought it was an animated gif!! !